In this election cycle, you are being asked to vote for a new President-Elect, Secretary-Elect, and Corresponding Members. The President-Elect will serve ASPB for three years: in year two becoming the President. 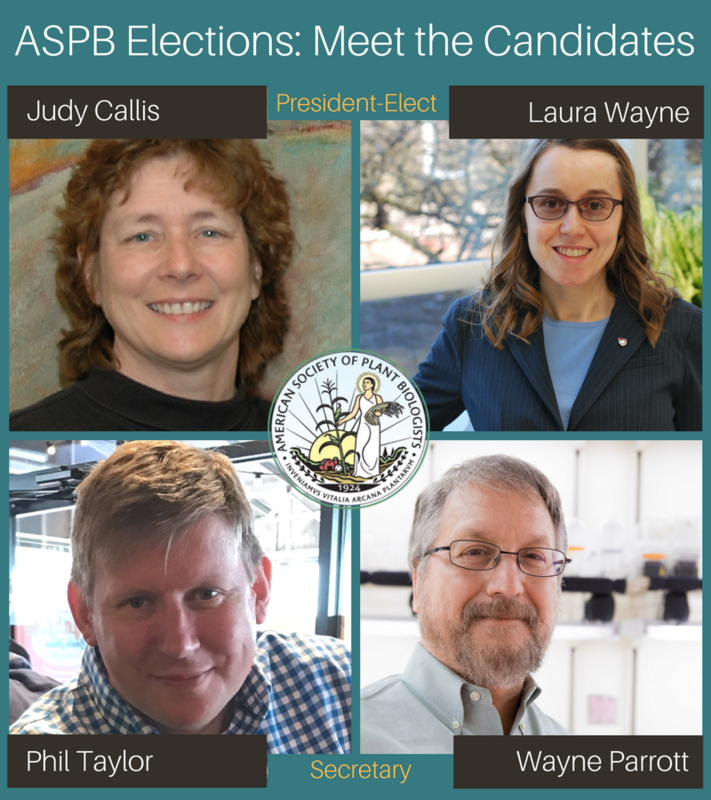 The Secretary serves on the program committee for four years, serving as chair in years two and three: this committee organizes the scientific content and overall structure of the Annual ASPB Plant Biology conferences. These newly elected officials will help to lead ASPB towards the future and steer the direction of the society as a whole. These officials serve to represent your interests and priorities as members; we work for you. What is important to you? Education? Learning? Outreach? Career guidance and opportunities? More opportunities for live or virtual meetings to learn and share? Belonging to ASPB brings more than discounts for attending the Plant Biology meetings or publishing in the Society’s journals – it is a community of dedicated plant scientists working together towards our vision of a thriving community of plant scientists. By getting engaged in ASPB, you can be part of shaping the future of our society and the plant science community as a whole. Before you vote, take some time to learn about the candidates by reading more (using the links below) and by participating in a live, online town hall with the Secretary candidates, where you can attend and ask questions – more information is coming soon.